They say people fear public speaking over and above death. For an introvert, it must be all but impossible to stay calm before and during a presentation in front of hundreds or thousands of people…right? That’s what makes the insight and experience of my next guest so important. 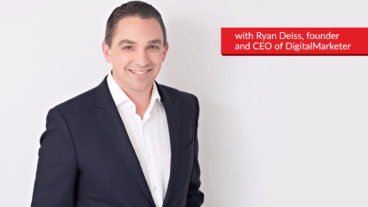 I first met friend and founder of Digital Marketer, Ryan Deiss, just before he spoke onstage at Small Business Festival – and he was as relaxed as they come. As a speaker myself, I was so impressed with how collected he was, and the easy command he took of the stage as I watched him present his keynote to the crowd. 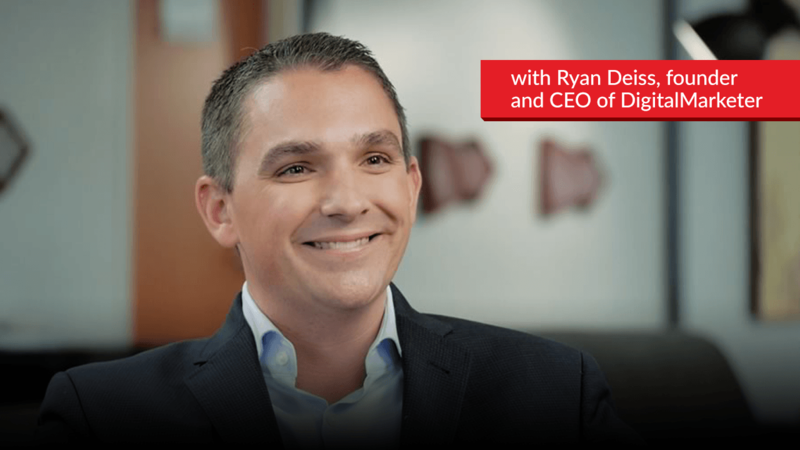 Imagine my surprise to discover that Ryan Deiss, the face of the global Digital Marketer brand, is, in fact, an introvert. When Ryan started his first online business as a University of Texas student, he loved that he could hide behind his computer, not talk to anyone, and still make money. 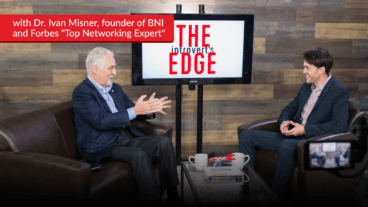 But as his multiple businesses grew and his entrepreneurial spirit developed, he discovered he’d have to push through everything he disliked as an introvert – not just public speaking – in order to achieve the level of success he desired. Ryan explains why you can’t run away from the elements of business you don’t enjoy if you expect to achieve success. For introverts, this can include things like being the public face of the company, hosting and attending events, presenting in public, and following up with clients and leads. But self-reflection and analytical thinking, two strengths of introverts, help us to understand that we’ve got no choice, at least until the first hires come along. Just because you have to do the business tasks you dislike at first, that doesn’t mean you have to do them forever. Ryan explains the qualities he looks for in his core team members, who balance his introversion and allow everyone to complement each other’s strengths. And the best part? Once you have those team members in place, you can delegate to them and stick to what you love. 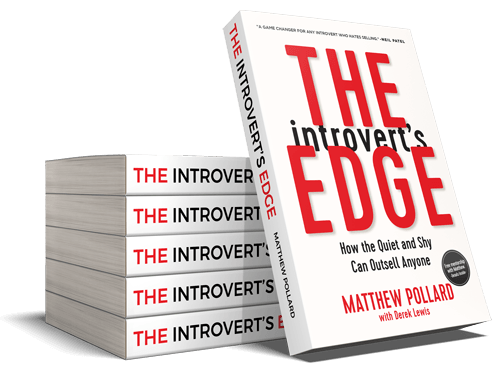 Matt: Hello everyone and welcome back to The Introvert’s Edge. 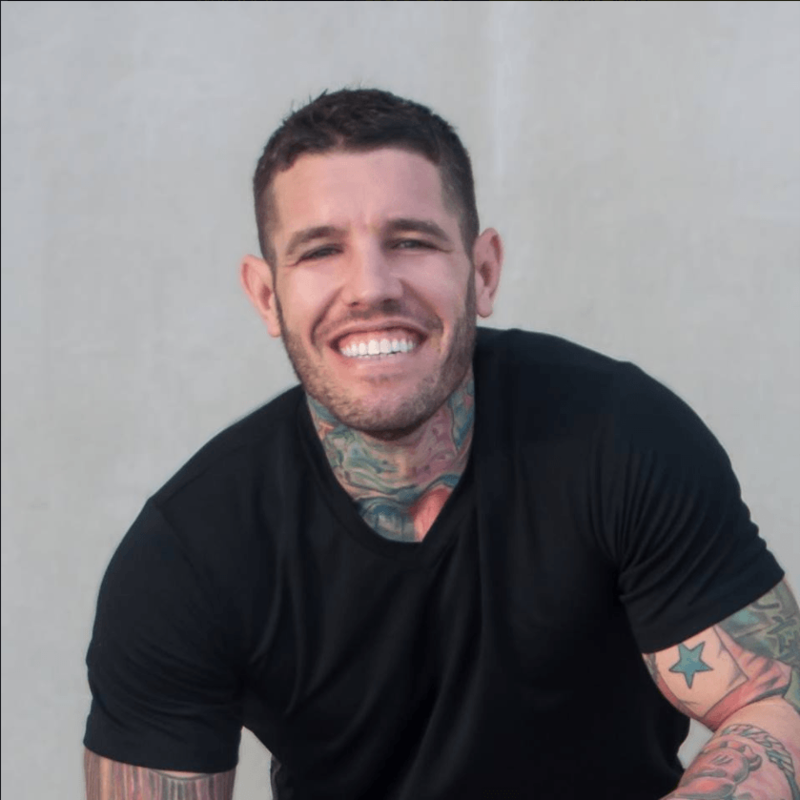 I’m ecstatic to introduce to your our guest for today, Ryan Deiss, who is not only the founder and CEO of Digital Marketer, but also the founder of the Traffic and Conversion Summit. So for any of those introverts out there that are thinking I definitely can’t speak from stage, I think Ryan is going to add some unbelievable value about hosting a crazy size conference and how he copes with things that you normally assume that an introvert just wouldn’t do. So Ryan, welcome to the show mate, thanks for coming. Ryan: Thank you for having me. Thank you for bringing out this important topic. I think it’s good for everybody to go out there and acknowledge our strengths and our weaknesses and what that means for us moving forward. Matt: I couldn’t think of anyone better to share the story with because everybody that sees you that I know talks about you as that extroverted person and they wish that they had that skill set that they could just get up and so comfortably be on stage and just be in their own space. I remember we were talking – I think it was at the Wizard Academy – where you mentioned that I’m an introvert and that’s why I’ve got great people that try and handle a lot of those things so I don’t have to do it all the time. But you just come across as so natural. But before we get to that, I’d love to hear a little bit about your story from the beginning. I heard about it at Small Business Festival and it’s such an amazing story, I’d love to hear where you came from and how you got to where you were, and how introversion played perhaps some barriers and success factors in that. Ryan: Sure. And I can speak to maybe some things that I haven’t talked about as much before that may resonate more with the people watching it that are like us. I started my very first online business in 1999, I wanted to make some extra money and at the time if you think about 1999 – those of you who were around then and adults then – it seems like a lot of the people working for me today were still in diapers in 1999. But if you weren’t then you know the dot com bit was it. I was going to school at the University of Texas in Austin, this was in the middle of Dell’s “Dude, you’re getting a Dell” campaign, so everybody knew Dell in and around Austin and everybody knew Dell computer company and Michael Dell’s story and how he got all this money. So there was this entrepreneurial fervor and this entrepreneurial energy around that. And so I wanted a piece of it, I wanted a part of it. And I originally decided that I was going to be a web designer because I figured all these people are going to need websites so I can figure out how to do that and I’ll market myself as a web designer. I wasn’t very successful at that because I wasn’t very successful at marketing myself. So I actually turned that web design business into an email list and I said instead of trying to do web design I’m going to instead start this little email newsletter where I’m going to post an email every single week for other designers like me, even though I’d never really done it. So that was kind of my first foray into online marketing and building a list, and I eventually offered them different products and services. One of my first success was actually my only web design client that I ever had, and this person wasn’t able to pay me, but this particular lady was a lactation consultant so did a lot of work with nursing moms, and one of the things she needed help with was building a website to sell her services. So I helped with that and then she said can you help me create a product that I can sell to them after they’re no longer nursing their kids. So we created this product on how to make your own baby food and helped to produce that. When she couldn’t pay me she gave me that product, and literally one of the first products that I ever sold online was a product on how to make your own baby food. But if I were to think back on it, so much of the choices that I made in terms of business – and they’ve benefitted us – but it’s not like they were that strategic. Like I said, the web is going to be this big thing, you need to figure that out. It really came out of not wanting to talk to people. I loved the idea of being able to start this business where I could be in my dorm room or my college apartment and I could be selling things to people all over the world and never have to really engage face to face. It was fortunate that I was born in the time that I was born in where we can do that, we do have the ability to do that. And gosh, I was in this making hundreds of thousands of dollars in sales while I was in college having never spoken to any of my customers except via email. And even when I did that I did it under a pseudonym, I didn’t use my real name. It was pretty powerful. I don’t know if I had been born 30 years prior if I would have been as entrepreneurial, because I think that meant a very different thing then than it means today. But that’s where I got my start and it went from selling that one book on how to make your own baby food to selling tons of little books and pieces of software, to launching multiple e-commerce and MIA companies, to here we are today. So it’s been a good ride. Matt: Thanks for sharing that Ryan. I think one of the things that always astounds me about you is how many companies you now run and have a management piece in. I think a lot of people think that as an introvert you can’t be a great leader and you can’t run a great company. And I’ve been to your office in Austin and you have some amazing people that work there and they all love working for your organization. I know that in all of the organizations you’re a part of you create a really strong culture and I think I’d really love for you to just share how you’ve created that culture and how you use your introversion as a strength rather than feeling like it’s something that you shouldn’t be doing. Ryan: For me what I found is that the act of ongoing management – which is a lot of following up with people – was always very difficult for me. So as long as we kept our company very entrepreneurial, and as long as the people that were reporting to me were people that I could say, “Here’s what we should do, here’s the objective”, so I get a very small team in a room and I have no problem writing on a white board and planning out this is where we need to go. But I knew that I needed to surround myself with people who really loved people and they got their energy from other people. And so they would then take that message and those ideas and they would go leverage human beings to get it done. I was never going to be the person that was going to be able to manage a large team, but I could lead a large team if I had really solid “people people” below me. If I had those people on my team, that when I talked to them they knew what to do and they weren’t afraid to go and work with the team to get it done, that it was going to be fun. I never had a problem working with a handful of people, it’s when it gets into lots and lots of people that it gets a little more tricky and just for me it’s difficult and it’s exhausting to follow people and sit in meetings with lots of folks. But if I can always have a core team around me who get me and tolerate me, then we I say here’s what we’re going to do, they’ll take it and run with it. So right now I have 4 direct reports in a company with over 100 employees, so it’s not so hard to do it if you do it that way. I think the mistake that a lot of introverts might make is they won’t identify. Leadership and management are two different things. Management can be very difficult if you’re an introvert, and it doesn’t mean that introverts can’t be made to be great managers, there’s lots of things that I do that I certainly enjoy. But we need to get them done and we never want to be a slave to our default settings. But I never want to stay in that management role where I know that I’m going to need to be doing follow-up with lots and lots of people all the time, because it’s just very difficult. Matt: I think that’s a really good thing for people to know because I think that a lot of introverts that are growing, they say I need to start managing my team, where you said what I need is to go and find my core people that are going to help me manage my team. What did you look for, let’s go back to when you were looking for your first core person, what were the qualities that you looked for and what are the qualities in the people that you look for now to be part of that group of 4? Ryan: It needs to be someone who can’t be a micromanager, they need to be someone who does work and they enjoy passing their knowledge down to others and they enjoy seeing other people win. So I like looking for people who when their managing a small team or when they’re in a group they want to give credit to others on the team. That’s definitely one of the things that I look for. An enormous level of just organizational abilities. These are people who don’t brag about their inbox have hundreds of thousands of unread emails, these are people who are generally great at follow up. I know for me I’m not that great at follow up and it’s not because I want to be rude or disorganized or a diva thing, it’s that I just don’t like it. I know if I follow up and we get into a conversation than it’s going to keep on going and generally I want to hang out and read and come up with ideas. So to find someone who is really phenomenal at follow up, when I see that and when I see them willing to give credit to other people in their team – and they’re obviously competent in the field that we’re working in – then I know that that’s going to be somebody that is a pretty good match for me, somebody that I can definitely work with. Matt: That’s great, Ryan. Thank you for sharing that. I think a lot of introverts really struggle to find those core people, so I think looking for those specific qualities is really, really helpful. Ryan: And I should say there are going to be people that are going to irritate the crap out of you. So they’re going to be the people who, like I know I’ve got these people on my team and we go to a networking type function and they’re the ones that are going around talking to everybody and trying to loop me into conversations and I hate it, so I know that’s exactly who I need in that role. Matt: So it’s forcing you to do things that you don’t want to do, but things that are helpful to you. Ryan: Yeah. And they’re willing to do and actually enjoy the things that you don’t like to do. So often when we’re hiring we hire people that we like, which means they’re a lot like us because we’re intensely arrogant and selfish as human being. So if you find yourself really, really liking someone a lot and they remind you so much of me, that’s probably not the person that you’re going to want because you’re going to say, “Why don’t we huddle up and work on this together”, and they’re going to think that’s a great idea and they’re never going to leave that cave and go out there and get the work done with other people. Matt: That’s brilliant. It’s funny, I’ve had a lot of introvert/extrovert teams that have had really successful companies because they understand that about each other and the extrovert will push them out to do extroverted activities. But if the introvert says hang on a second we really need to think about this before we step out, it creates such a great dynamic. So it’s really amazing that you’ve managed to create that in a staff dynamic and the fact that you’re also humble enough to take the lead of those people that you’ve hired to make sure that you end up in the conversations you need to. Ryan: At the end of the day, and I mentioned this before, I see whether you’re an introvert or an extrovert. That’s your default setting, you’re not a slave to it. So people ask me all the time, “I can’t believe that you’re able to go out there and speak and do all these things.” I mean, I want the end result. Something has to be better than that. Now as we grow and as we scale I want to arrange things so that I can get through it more easily. But in the beginning, look, I’ll do whatever I have to do to make that thing happen. And I think that everybody needs that. And if there’s one bit of encouragement that I could give to my introvert friends out there, it’s acknowledge it, but you don’t get to use that as an excuse, necessarily. You acknowledged it so that you can say, oh that’s why this is hard. But just because it’s hard doesn’t mean you are absolved from having to do it. So yeah, it irritates the crap out of me when we go to a meeting and one of my more extroverted people want me to meet this person, but I know they’re right. And so as long as you keep one of your bigger goals in mind and you recognize that it takes all flavors to get it done, then you kind of get over yourself pretty quickly. Or you don’t get the thing that you want and you just become a bitter, worthless human being. I don’t want that as an option. Matt: Yeah, that’s the last thing you want to be remembered for, I think. Great advice. I want to transition for a second because you talked about writing blogs and a lot of what you talked about is creating great content, creating an email list, and sold without ever speaking to people. The world has changed a little bit these days and I was talking – Dell is one of our sponsors for Small Business Festival – and they were talking about how they created all this great written content and then they realized the world’s gone video. You and I are very private people, you have your family and you’ve got your proper family time, and a lot of your life is behind closed doors. And then you go out to events that you’re dragged along to and told that you need to meet specific people. And now the world is video and you’ve got to get in front of a camera more frequently and this is a great example, this is a video production rather than just an audio or could I get you to write a blog post and contribute it to the website. How have you found coping with that and what strategies have you used? And for people that have to get in front of video now, is it something they have to do or is it something they can choose to do? What would you suggest? Ryan: Somebody in your company is going to need to be out and they’re going to need to be the face of that company. And if I had it to do all over again and all things being equal, I would have much rather somebody else been the face of digital marketer and I was just the behind the scenes. But that’s not how it worked out. I was the one that needed to be out there in the beginning because I was the only one that was there. So it made sense that I would be the one that was there, and then once it’s done there’s no going back. So I just accept it for what it is. Do I enjoy it, no I don’t necessarily enjoy being on all the videos and things like that that a digital marketer puts out. And that’s why I’ve sought to really build more of a company brand as opposed to a personal brand. So we’re a digital marketer, we’re not ryandeis.com. I don’t even know what’s at ryandeis.com. And I’ve been very particular and very deliberate about building digital marketer as a brand and about highlighting other people on the team who are more extroverted and who like being on camera. So I can say do you want to learn about Facebook ads, talk to Molly. Do you want to learn about conversion rate optimization and testing, here’s Justin. If you’re in sales, talk to Marcus. I’ll even drag Richard Linder up from time to time to talk about email stuff, but he’s an introvert like me so that doesn’t get very far. So a lot of it is building a team, I’ll tell you, if you’re going to be both an introvert and you’re going to be a micromanager, and you’re going to be so arrogant that everything has to be about you, I don’t see how you get through life without being miserable. Because everything inside of you is not going to want to do the things that you feel like you have to do for whatever reason. But I have no problem highlighting other people on the team and having them be on camera. I also – while I may not enjoy it – have no problem being on camera if that means that that;s what it takes to grow the company to be successful. Also I don’t so much mind being on camera. To me it isn’t that big a deal because it’s still just us talking. Right now I can kind of psych myself out of it. Even being on a stag in front of a lot of people, if I have a rear backstage entrance and exit, even that’s ok because there’s a clear kind of wall or separation type thing. Speaking in front of a room of 20-30 people, that’s way harder for me than speaking in a room of 2,000-5,000, funny enough. So I think part of the reason that even the event is structured the way that it is, is because I try to build things to where they’re going to be most comfortable. But my desire is to end up there. I’m never going to say that because I don’t like this I’m not going to do it. I’m going to do what needs to get done whether it’s shooting a video, leading a meeting at the company, I’m going to do what needs to get done. But as soon as it works, one of the perks of success is then you get to make your own rules. So then I’m going to change things a little bit and try to make it to where it is easier for me. Matt: Definitely. I think that you’ve managed to start to put other people in control of different elements of your business and it hasn’t had negative side effects in a lot of ways. But I also know that a lot of people want their own piece of Ryan and they’re still trying to jump past those people to try and get to you. So in the second session I’m really looking forward to hearing some of the strategies on how you cope with that, and also how you go through the structure. Speaking to you privately I know that you have some strategies about how you speak at big events and you’re ok with that. And I’m looking forward because I’ve had a lot of other people give their strategies and I know that yours is very different, so I’m looking forward to sharing that. So for everyone that is watching right now, thank you so much for sharing this session with us. I hope you’ve got some great value from Ryan – I’m sure you’ve got some great value out of Ryan – and to watch session 2 make sure you go to theintrovertsedge.com/ryan, and you’ll be able to access that video as well. And if you’re really enjoying this segment please go to iTunes and post a review and subscribe, so that more great introverts like yourself get to learn these skills that allow them to be successful in both business and in life. But thank you for joining us and I look forward to seeing you in the next episode. Cheers.